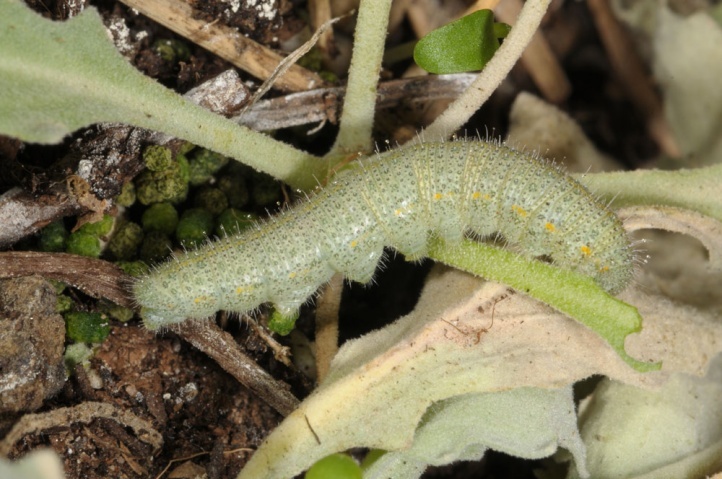 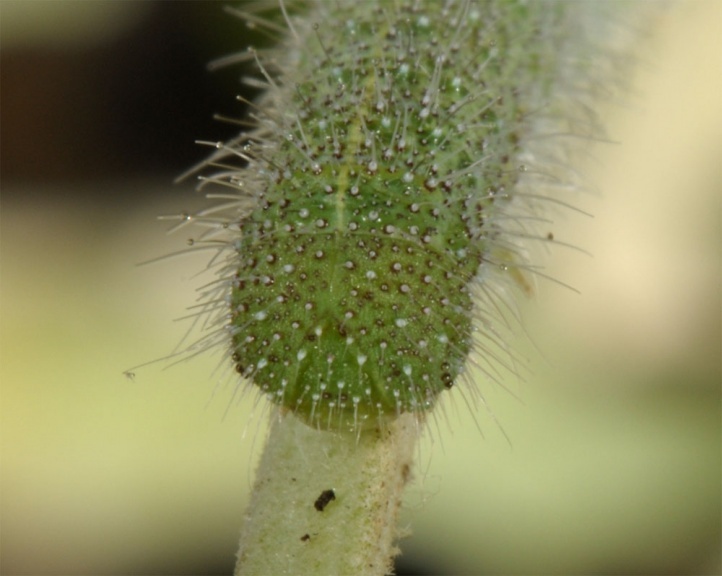 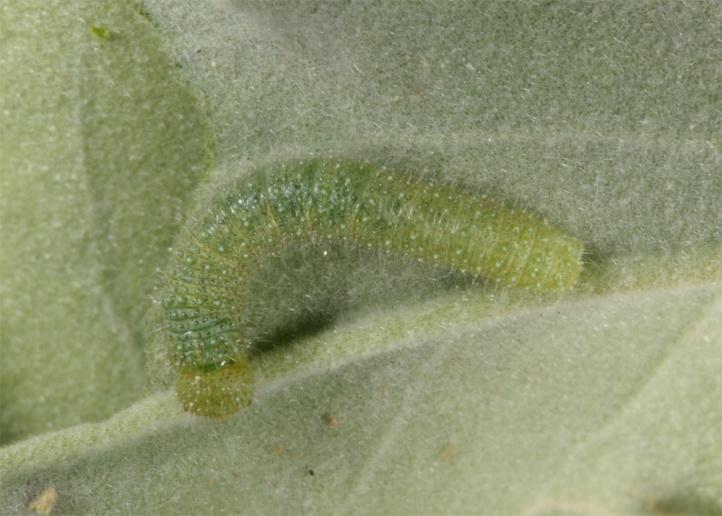 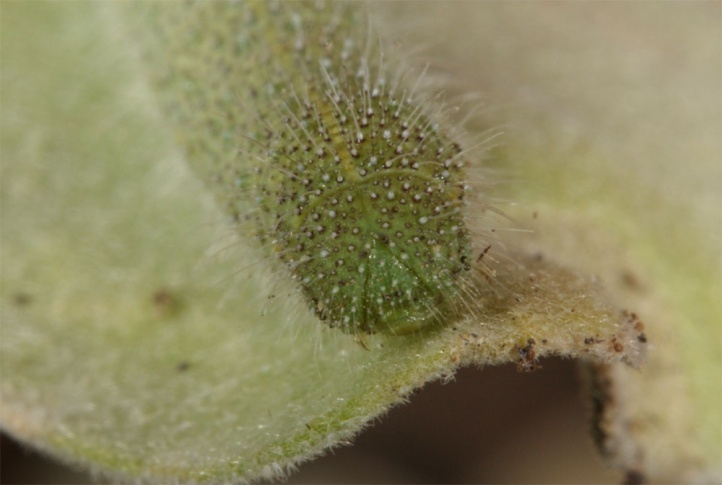 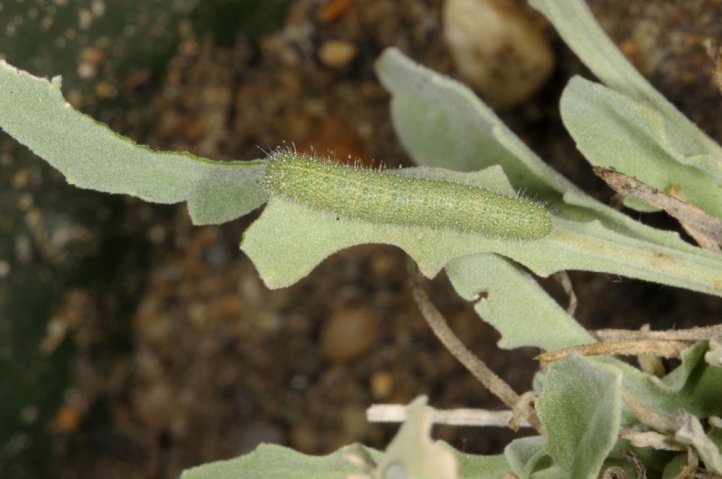 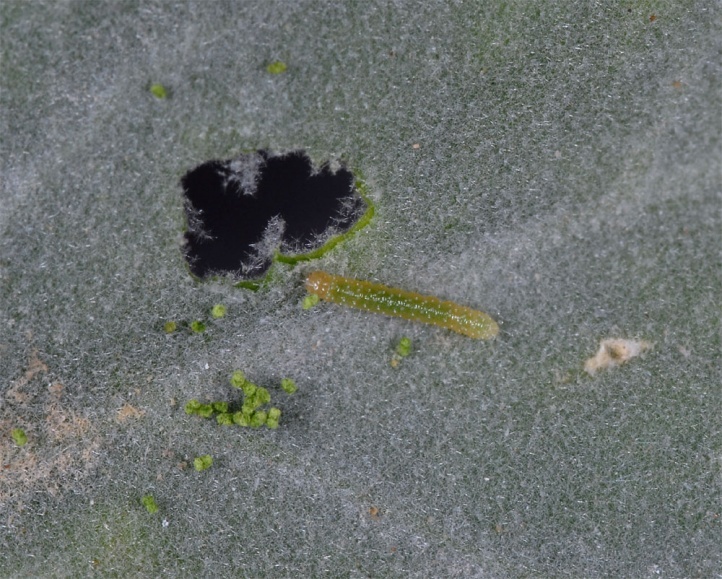 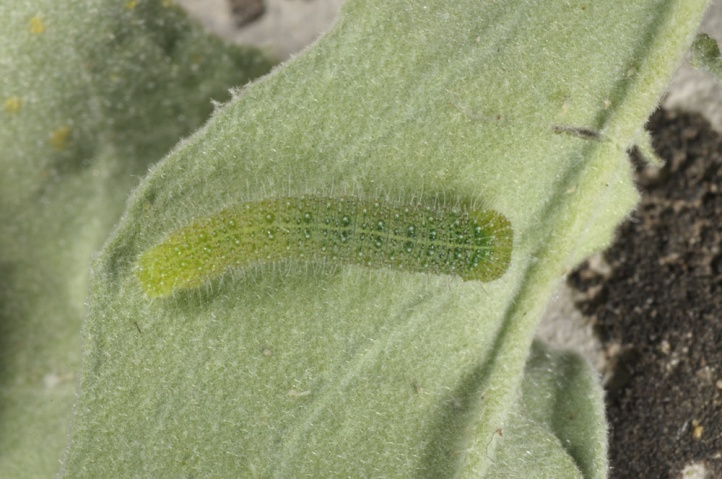 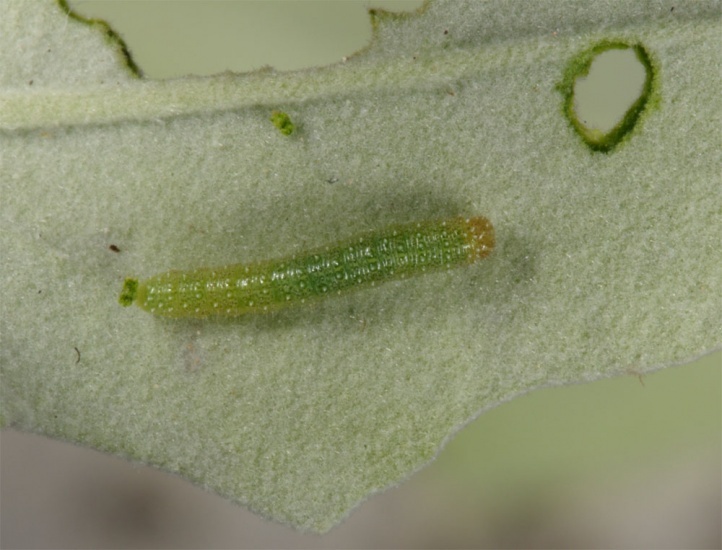 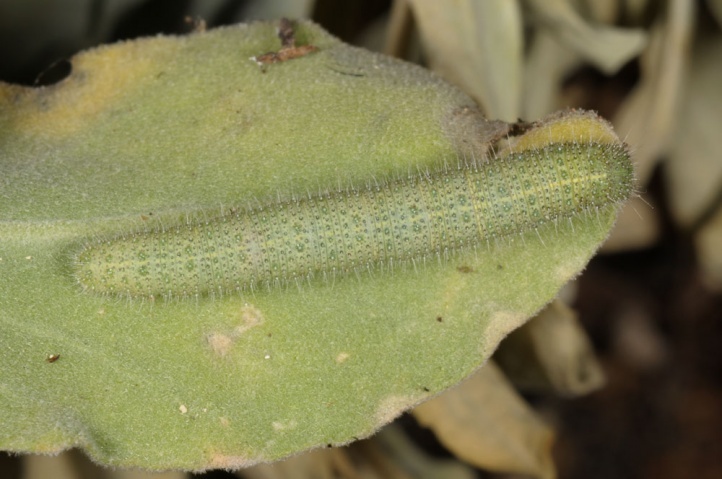 The caterpillar lives on Alyssum species (Brassicaceae) as Alyssum saxatile or A. corymbosum. 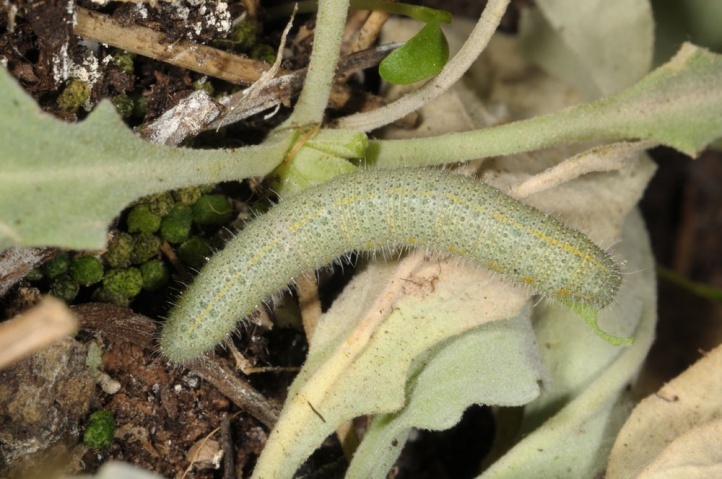 Probably Alyssoides utriculata is also used. 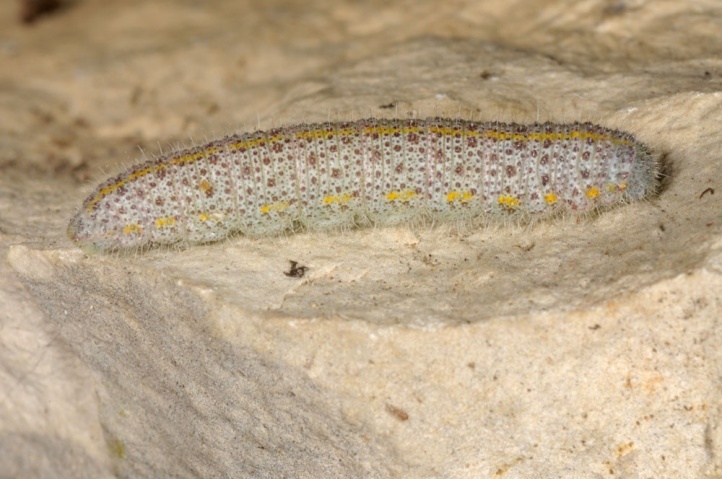 The larval habitat represent cliffs, old and small-scale quarries, rocky surfaces and walls with occurrence of Alyssum species (usually on lime). 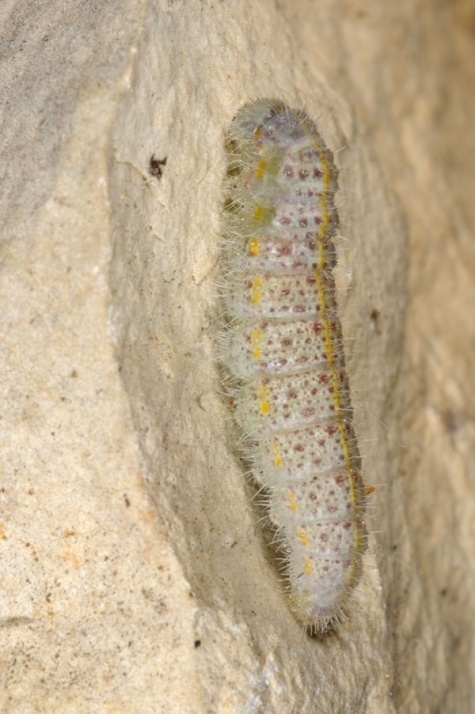 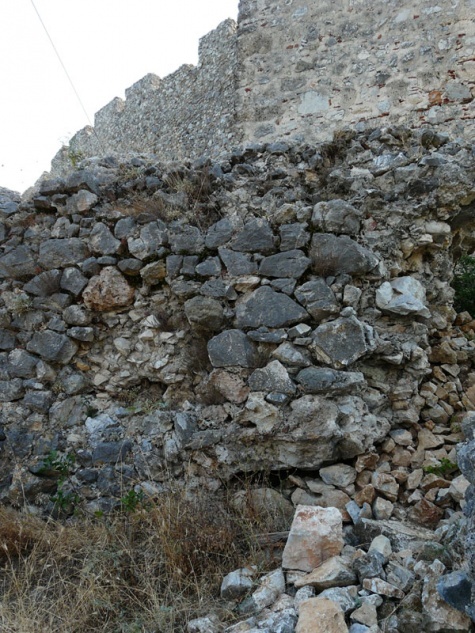 In Northern Greece I found eggs and caterpillars on vegetated walls of an ancient castle on the coast at the foothills of Mount Olympus, along with those of Nymphalis egea. 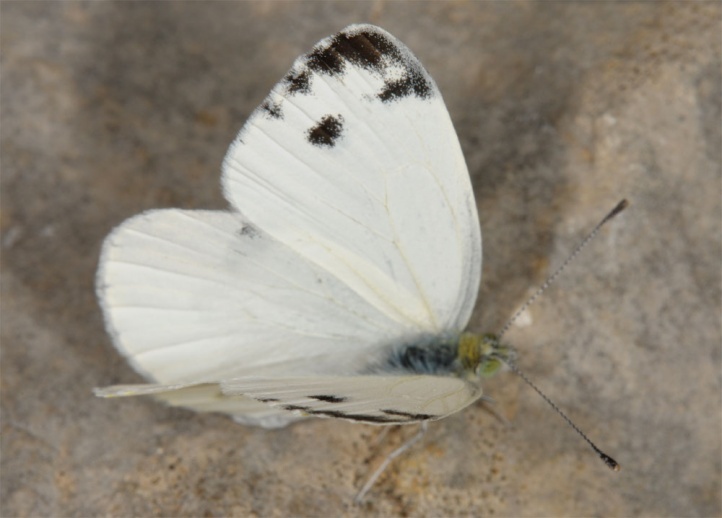 The adults can also occur in very different habitats. 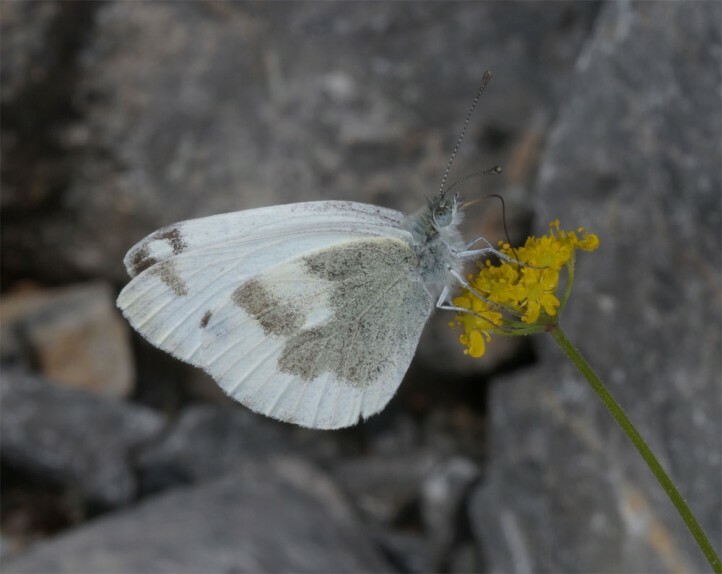 I observed a male in a more humid mint site in 1100m above sea level on Mount Olympus. 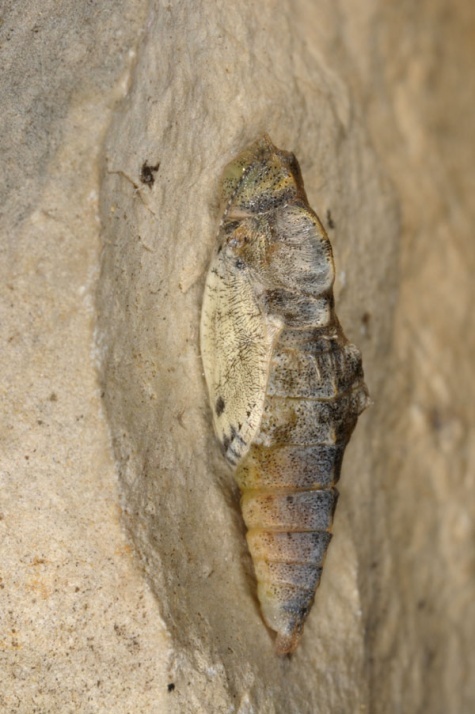 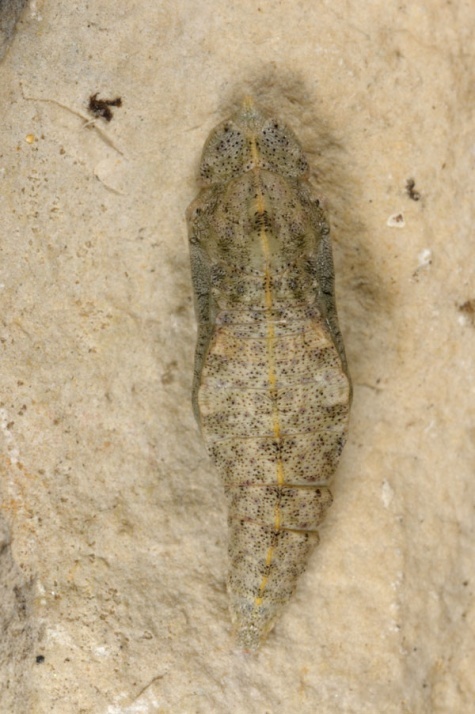 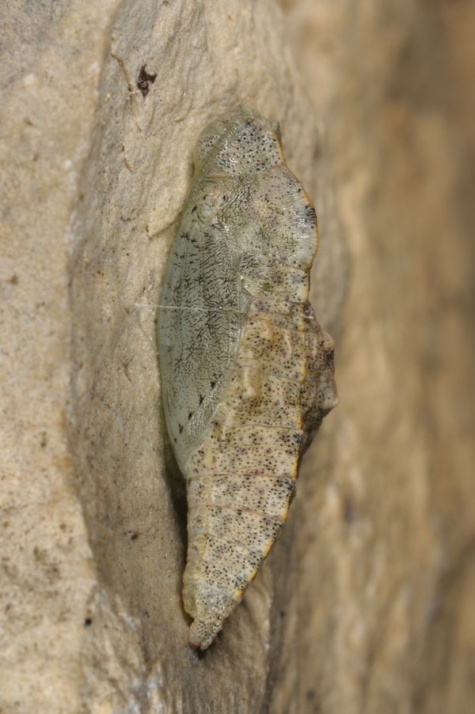 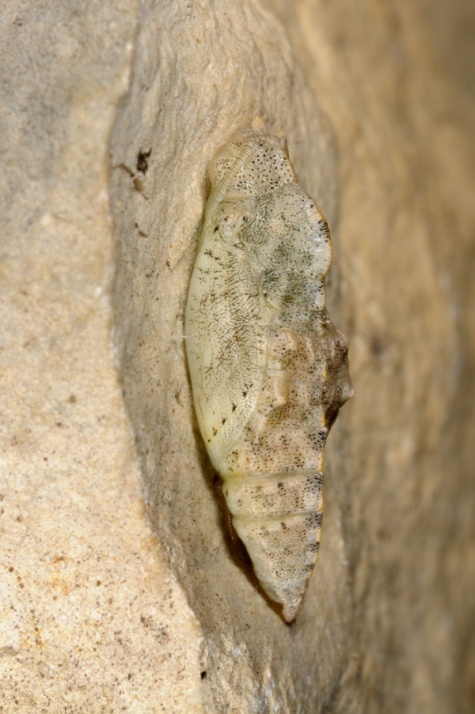 The pupa hibernates attached to stones. 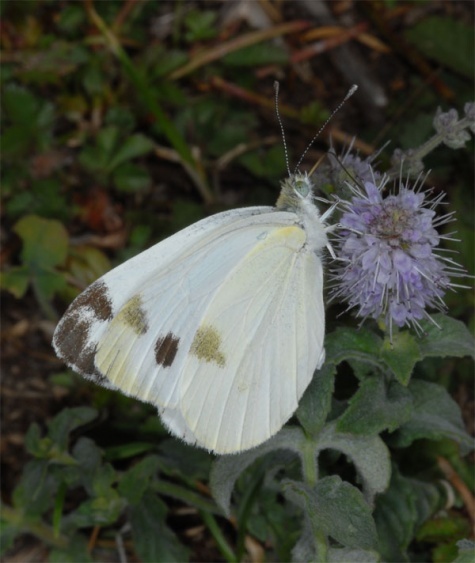 The adults fly in two to four generations (depending on altitude, usually about three generations) from late February to early October. 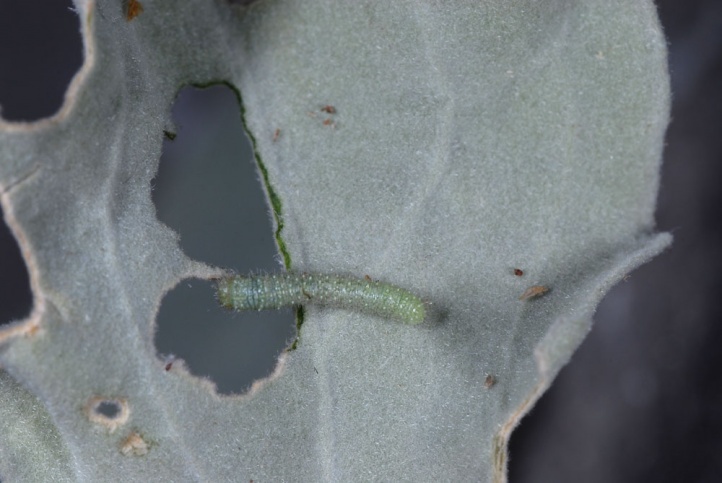 I found adults, caterpillars and eggs several times in late July and early August in Northern Greece. 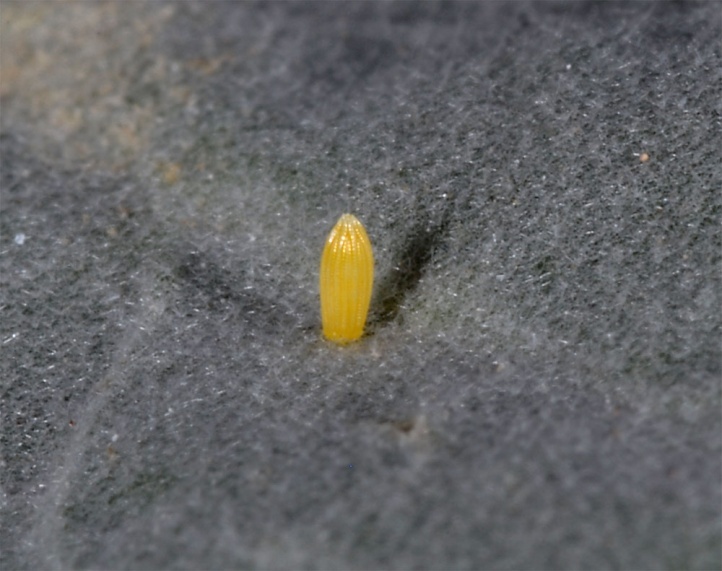 The eggs are quite large and are attached at least in summer (after the fruit of Alyssum) on the upper leaf surface of most medium-sized or large plants. 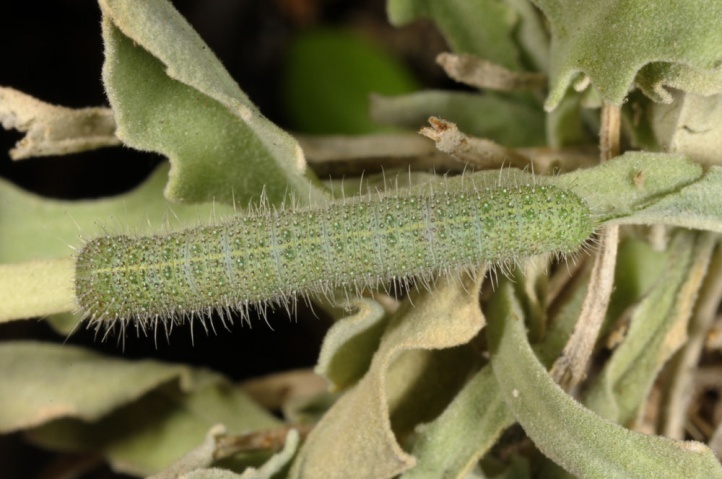 The caterpillars are well camouflaged there by their bright gray green color. 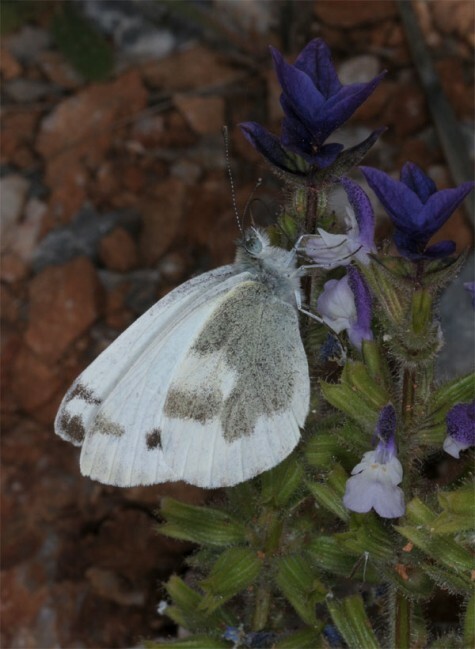 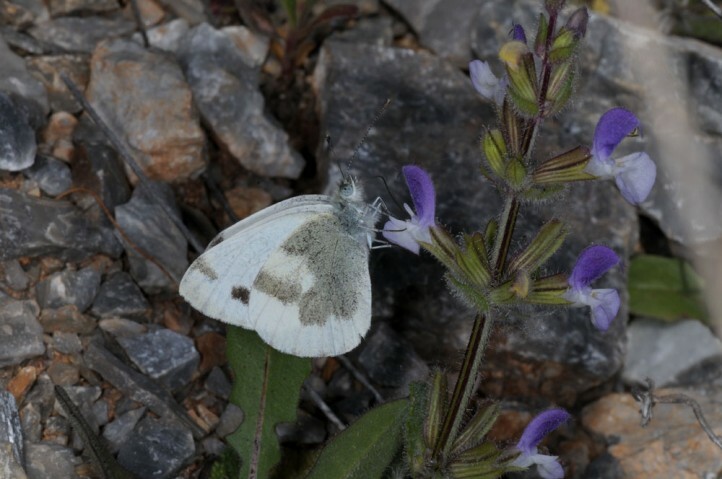 Pieris krueperi is in spite of its local occurrence currently only locally at greater risk (reforestation, road construction, large-scale mining of rocks under destruction of original rock zones, tourism infrastructure, etc.). 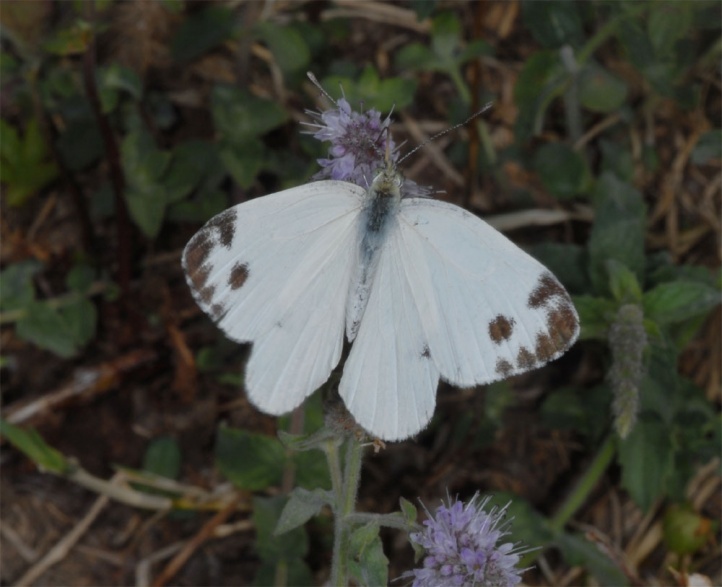 Pieris krueperi occurs in Europe only on the southern Balkan Peninsula (especially in Greece, but also in Bulgaria, Albania and parts of southern Macedonia). 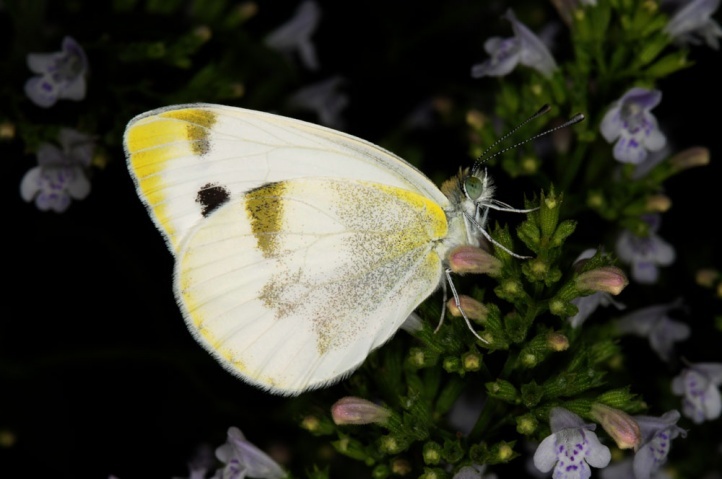 Furthermore, Pieris krueperi flies in parts of Asia (e.g. 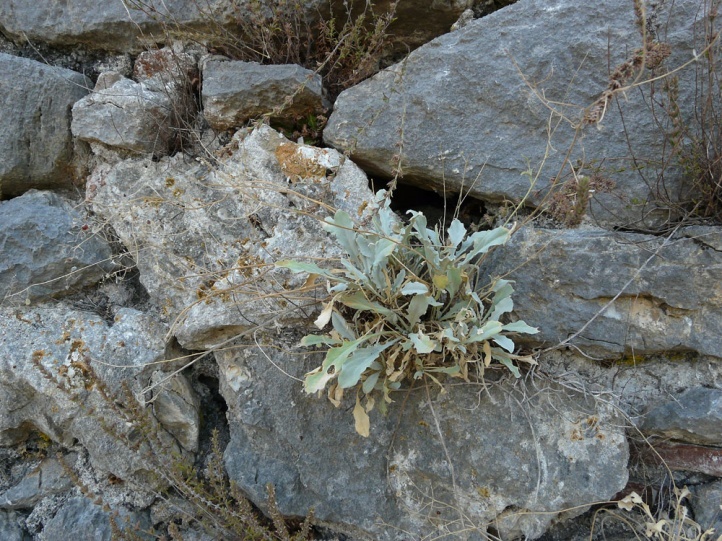 southern half of Turkey). 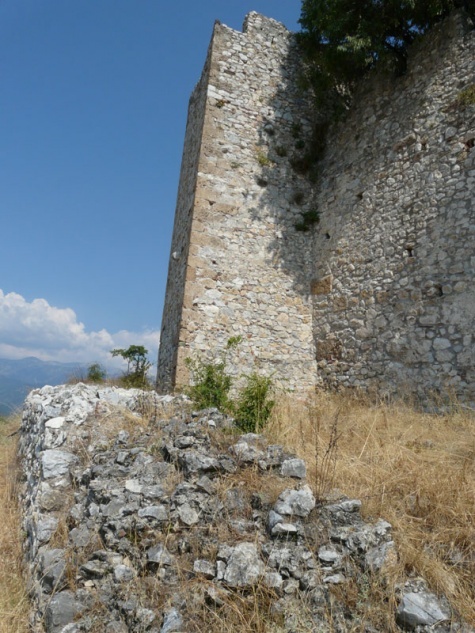 The altitudinal distribution ranges from 300m (rarely even much lower, such as at the Olympic Riviera) to 2000m.